Energy security is a major concern worldwide. A large part of the world's oil is located in the Middle East and other politically unstable countries. The conflict between 'Western' and 'Islamic ' cultures is at present exacerbating the anxiety over reliability of energy supply. Russia is a major producer of gas but recent events in Ukraine have made European countries aware how dependent they are on this single source. The USA is the world's largest consumer of energy and is heavily dependent on imported oil. With economic growth seen as being intrinsically linked to cheap fuel it is difficult to imagine political parties, in the USA or elsewhere, proposing policies that require voters to drastically curtail their consumption and therefore alter their lifestyles. For any growing economy, energy security is crucial to assure its smooth development. Moreover the economy will also be very sensitive to the cost of energy imports. The mix of India's current installed capacity of over 100GW of power is approximately 70 per cent thermal, 24 per cent hydro, 3 per cent non-hydro renewables and 2 per cent nuclear. So for a country like India which is installing the bulk of its energy supply this century, both the short-term energy security exposure to importing energy and the long-term pricing expectations merit early consideration of alternative indigenous sources of energy. Renewables provide several good candidates that could address energy security issues. If you have a choice between going off-grid and installing a PV intertie system, do not go off-grid. The economics are horrible, in a relative sense. Off-grid systems use batteries, which are operational and waste nightmares. Plus, you can't get a mortgage for an off-grid house. 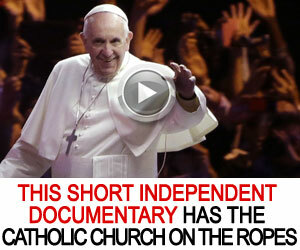 Nevertheless, a movement is afoot to go back to Mother Nature by going off-grid. This movement would be better titled, getting away from humanity while punching Mother Nature in the gut. 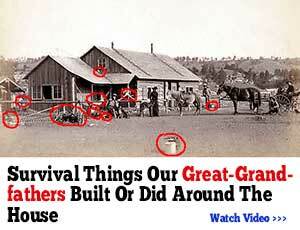 You can save a heckuva lot more pollution by going intertie than off-grid in many ways. If you want to get away from humanity (I'm empathetic, believe me), go backpacking and remember to take biodegradable toilet paper. Then when you get back home, check your intertie PV system to see how much of a net surplus of energy you generated. 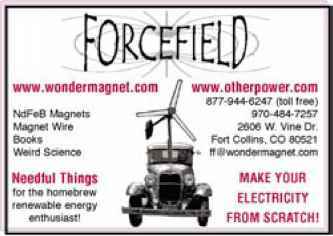 Looking at the pros and cons of living off-grid Specifying the right solar power systems Looking at a real-life scenario a W ff-grid means you're not connected to a public utility for your electrical power. The term usually also means you're not connected to utility gas, water, and sewer. However, in this chapter, I address only electrical power because that's the angle that solar can solve. (Myriad books and magazines are dedicated to going completely off-grid if you're interested.) Here are a few reasons for going off-grid i You just want to be off-grid because of the allure of independence. 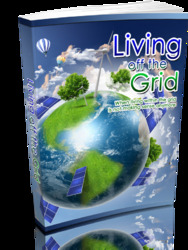 In this chapter, I tell you what to expect when you go off-grid, how to evaluate your system needs, and what an off-grid system may look like. 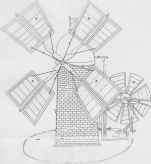 Off-grid wind-electric systems are battery based. People generally choose these systems because their home or other energy use is not connected to the grid, and connection would be expensive. Others prefer the independence of off-grid systems, or live where utilities and governments make it difficult to tie a renewable energy system to the grid. Off-grid systems are limited in capacity by the size of the generating sources (wind turbine, solar-electric array, fuel-fired generator, etc. ), the resources available, and the battery bank size. Off-grid homeowners have to learn to live within the limitations of their system capacity. This project is good if you've got a remote cabin (off-grid enthusiasts ) and have access to a creek that's of dubious origin (all together now what do bears do in the woods ). Or if you just want to purify your local tap water, you can use this project for that purpose, too. Part IV gets into larger projects that cost more money. I give advice on deciding whether to do a project yourself or to hire a contractor, and I give advice on how to hire someone. Greenhouses and solar rooms have some fundamentals that are consistent with all projects that you need to understand, so I cover the basics of what you need to know. I also detail how to specify a large-scale PV system and how to find and hire a contractor to do the installation for you. Going off-grid is sometimes necessary, and sometimes it's just a compelling desire to get away from it all I tell you how best to do it and under what circumstances it's merited. Solar tracking greatly Increases the energy yield of your modules by up to 2035 per year depending on the location. LORENTZ provides solar tracking mounts for off-grid systems of up to 17m2 180sqft (approx. 2.5 kWp) size. 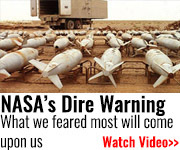 No use of failure prone light sensors or wind sensors. For solar power plants LORENTZ offers a central control system to operate and monitor enough trackers to reach several MW size. 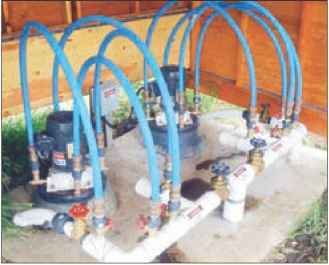 Our wide range of different types of pump systems provides the optimum solution for every off-grid pumping situation - reliable, efficient, maintenance-free. We offer solar pumping solutions for 12V to 96V DC or 115 to 400V AC with helical rotor, centrifugal or rotary vane pump mechanisms. 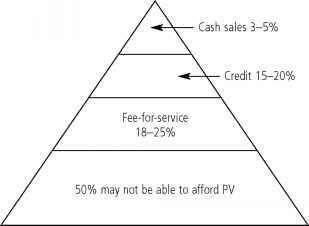 In contrast to remote area (off-grid) applications, where PV is often the least cost option, for grid-connected applications, electricity from PV is still relatively expensive, typically by a factor of 10,* depending on the level of the solar resource and cost of grid electricity supply. However, costs to the consumer are converging, aided by buy-down policies and other governmental support mechanisms, such as those offered in the UK, Germany, Japan, US and Australia. Most attention is currently focused on the reduction of costs of the PV modules. The building of larger automated continuous production units will drive down production costs, but in addition lower cost cell technologies are being explored. New low-cost devices such as those based on thin-film micro-crystalline silicon and dye-sensitized technologies are under development and commercially attractive products based on CIGS and CdTe (thin film direct bandgap materials) are being developed. 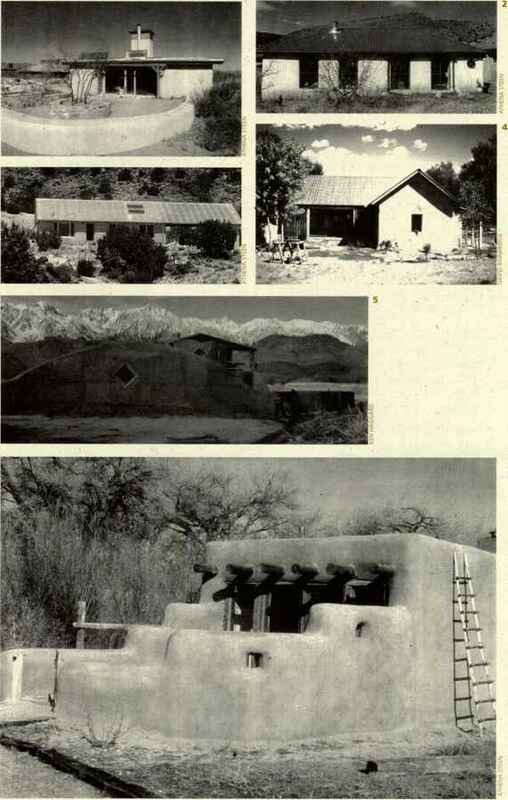 A completely self-sufficient home that is off the grid so to speak is now possible. There are thousands of such homes around the world. This leads to homes still using partial power off the grid, or people cutting back on their energy consumption. Some common ways of cutting back on energy consumption would be to purchase energy efficient appliances, use a Lapp computer instead of a desktop, eliminate television or watch a smaller one, and eliminate the majority of air conditioner use. The largest barrier for most people is the price tag associated with moving off the grid. It depends heavily on what type of power you're going to use, but it still generally costs 100,000 or more to have Please do remember, after converting a home to completely run off grid will increase the value of the home. So take that into account if you are considering purchasing something like this on your next home. 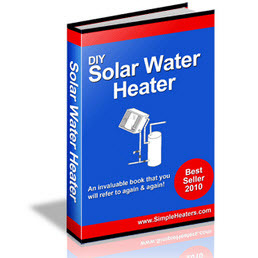 You can use solar heated water to literally heat your home off-grid. Radiant heat, without solar, costs much less than forced-air heating for efficiency reasons. But when you supplement your radiant heat system with a solar water heater, you can drive your heating costs down to nearly nothing. Of course, sunshine isn't very reliable, particularly on the coldest nights when you most need heat, so you can't use solar heating exclusively it can only be a supplement. But it can be very effective. Basically, solar thermal power plants compete with conventional, grid-connected fossil fuel-fired power stations -in particular, modern, natural-gas-fired combined cycle plants in mid-load or base-load operation mode. For small-scale, off grid solar power generation, such as on islands or in rural hinterlands of developing countries, competition stems basically from gas oil or heavy-fuel-oil-powered diesel engine generators. Your property is the collateral for the loan, and it's critical in the risk-reduction process. To convince the bank that your property is ideal collateral, you have to convince the bank that if you default on the loan, it'll be able to sell your house quickly for a good price. Houses that are odd in character (off-grid home Beware see Chapter 18) or that require modifications prior to sale (purple and yellow paint ) can cause hiccups. Banks want vanilla flavors for the same exact reason that you see mostly vanilla ice cream at the grocery store because everybody wants it. i The property can't be off-grid. Just before starting to work on the Future Power article, Michael and Suzanne moved to an off-grid island near Victoria, British Columbia, Canada. Needing electricity for their home and film production office, they installed a 1,500-watt solar-electric system with gasoline generator backup. So they know firsthand the problems that the world island faces how to power our needs with the resources available, without fouling our nest or sacrificing convenience and functionality. Energy has a direct impact on the U.S. economy. Energy shortages, in particular, can have significant economic implications. With an energy crisis, there generally is a period of decreased spending and reduced confidence in the economy. For example, during a period of high oil prices or oil shortfalls, gasoline prices increase, and higher gasoline prices translate into higher transportation costs. Higher transportation costs affect not only the day-today living expenses of most citizens but the daily operational expenses of businesses. This effect leads to an overall increase in the price of goods and services and to decreased consumer spending, which then, in many cases, can lead to a recession, a period of slowed economic activity. One important factor to bear in mind about the prospects for the wind industry is that, as we've already mentioned in Chapters 1 and 2, as far as we have seen, nobody takes into account fossil fuel depletion in their projections. Studies do place certain constraints on fossil fuels in their models, based on assumptions about the future of emissions controls, geopolitical factors, climate change, historical production rates, industry investment, and so on, but it appears that most analysts have yet to fully grasp the coming energy crisis or if they do, they aren't saying so. Amory Lovins coined the term negawatts in 1989 to describe the concept of energy you don't have to generate. An accomplished author and Chief Scientist at the Rocky Mountain Institute, Lovins is perhaps one of the most influential voices when it comes to conservation and efficiency. Over the past few years, the emergence of the energy crisis has sparked renewed interest in negawatts among the world's most forward-thinking investors. The use of liquid biofuels could provide several benefits to the United States. Foremost would be an added measure of energy security by increasing energy self-sufficiency and substantially lessening dependence on foreign oil. The reduction of imports could result in an annual balance-of-payments savings of up to 100 billion while creating a domestic biofuels industry that would provide jobs, economic growth, additional tax revenue, and a potential export market. Additionally, liquid fuels from biomass can benefit the environment by recycling rather than adding C02 to the atmosphere, making biofuels a desirable option for reducing the impact of potential global warming. Expanded use of biomass in other applications would have similar effects in improving the environment and, to he extent imported petroleum is effectively replaced, in improving energy security and the balance of payments. As the voice of the methanol industry, AMI works with auto manufacturers and government agencies to accelerate the introduction of electric fuel cell vehicles powered by methanol. AMI helps inform elected officials and the public about the energy security, greenhouse gas and other environmental benefits of methanol fuel cell technology. Leading portable power equipment, telecommunications, and consumer electronics companies, with AMI s support, expect to introduce garden and camping equipment, cellular telephones and other methanol-powered fuel cell products in the near future. The noneconomic benefits of OTEC, which facilitates achievement of environmental goals, are promotion of U.S. competitiveness and international trade, enhancement of energy independence and energy security, promotion of international socio-political stability, promotion of a significant presence of U.S. industry in Pacific and Asian-rim countries, and a potential for mitigation of greenhouse emissions. This case shows that, when the government enables a discussion of alternatives at a higher level and when such discussion is not linked to specific jobs in specific local regions, it becomes possible to describe, analyze, and discuss how to implement alternatives that fulfill the objectives of energy security, environment, and job creation. 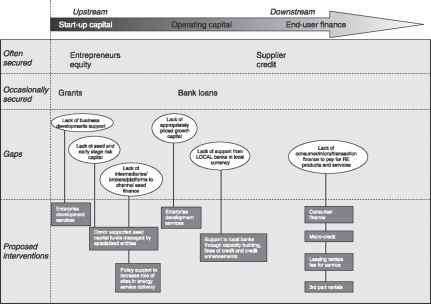 The greatest investment opportunities are often spawned from extreme crisis. Our reliance on oil, coupled with decades of complacency and special-interest influence, has put the world in an extremely vulnerable position. Moreover, it has become increasingly clear over the past few decades that relying on our elected officials to make the tough decisions that need to be made when it comes to curtailing our reliance on imported oil will amount to little more than election-time promises and bipartisan bickering, neither of which seem to ever accomplish a damn thing. That is why we're convinced that it is capitalism, not bureaucracy, that will dictate the future of transportation. It will reward real solutions in fuel efficiency, energy security, and good-oldfashioned ingenuity. In contrast, it will penalize the business t as-usual mentality that got us into this mess to begin with. Using geothermal energy can improve national energy security, dependability, and flexibility for utilities, industrial, and residential users while reducing the U.S. balance of payments deficit through displacing imported energy resources and providing a significant opportunity for U.S. industry to export technology and equipment. Then something happened When sending out papers prior to the city council meeting, the two calculations of April 6 were not included. Instead, the municipality administration made a new calculation dated April 9, which was distributed to the committee at the meeting. This calculation came to the result that in terms of socioeconomics, coal was even slightly better than small natural gas fired CHPs. However, such calculations did not include all environmental and energy security benefits of the natural gas alternative. Consequently, even based on the new calculation, natural gas would still be best in an overall socioeconomic assessment as defined by the law. But the issue was not mentioned. The leaders and council members of any city or town have the opportunity to develop visionary policies that will affect the manner in which the community evolves. These policies will be constrained by the current status and culture of the community and the aspirations of its members. Therefore the policy recommendations outlined below will need to be placed within the context of a city's current situation, together with any long-term goals it may already have for sustainable development, energy security, wider distribution of energy services, energy cost reductions and its contribution to climate change mitigation. The US Congress introduced additional measures to support the ethanol industry in 1980. The Energy Security Act of 1980 initiated federally insured loans for ethanol producers, and from 1980-86 alcohol production facilities could access tax-exempt industrial development bonds (Gielecki et al., 2001). Also in 1980, Congress levied a supplemental import tariff of 50 cents per gallon on foreign-produced ethanol (RFA, 2005), which was increased to 60 cents in 1984 (Gielecki et al., 2001) and now stands at 54 cents. Often such an environmentally better solution would be more costly than other alternatives. However, if the costs of cleaning SO2 emissions from coal were included in the calculations, alternatives 1 and 4 came out equally cost-effective from an economic point of view. And since the natural gas CHP solution had further benefits with regard to energy security, balance of payment, and CO2 emissions, and such externalities according to the authorities were to be included in the overall assessment, it was concluded that alternative 4 was the best solution. Battery energy storage can be integrated with renewable energy generation systems in either grid-connected or stand -alone applications. For stand-alone systems, batteries are essential to store electricity for use when the sun is no t shining or when the wind is not blowing. For grid-connected systems, batteries add value to intermittent renewabl e resources by facilitating a better match between the demand and supply. Utilities require homeowners to insure their grid connected systems. We told our insurance agent that our PV system was an electrical improvement approved by the building inspector, the utility, and the California Energy Commission. Our insurance rate remained unchanged. Table 1 below highlights the key features of the three solar technologies. Towers and troughs are best suited for large, grid-connected power projects in the 30-200 MW size, whereas, dish engine systems are modular and can be used i n single dish applications or grouped in dish farms to create larger multi-megawatt projects. Parabolic trough plants are the most mature solar power technology available today and the technology most likely to be used for near-ter m deployments. Power towers, with low cost and efficient thermal storage, promise to offer dispatchable, high capacit y factor, solar-only power plants in the near future. The modular nature of dishes will allow them to be used in smaller, high-value applications. We have assumed that PV's end-use sector is electric power. But in the future, PV electricity could also be used in electric vehicles or to make fuels, such as hydrogen for vehicular use. We have not assumed any contribution from these more speculative applications. However, they could be of great significance-even outweighing the impact of grid-connected PV electricity during the next 40 years. PV is not resource limited relative to these markets in any region. The required land area for all capacity needs in 2030 is about 60,000 km2, approximately 1 of U.S. land area. Therefore, PV could meet 100 of the market needs as an ultimate theoretical potential. Referring to peaking needs only, they are estimated to be 15 of these capacity needs for the Northeast and North Central areas, and 8 in the South and West. Electricity for peak power is expected to be the major market for PV during the next 5 to 15 years. The generator of a horizontal-axis wind turbine is housed in the nacelle and converts the mechanical power into electrical power. 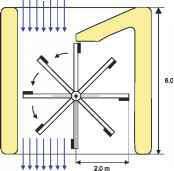 Until recently, the classification into constant or variable rotational speed wind turbines was determined by the choice of the electrical generator. For the grid-connected wind turbines, two types of generators were commonly used, asynchronous (or induction) generators and synchronous generators with AC-DC-AC converter. Asynchronous generators were used by many Danish wind turbine manufacturers during the 1980's en 1990's and had no possibility to influence the electrical conversion system. The result being that the rotational speed of the generator was almost constant. The synchronous generator plus AC-DC-AC converter offers the possibility to influence the electrical conversion directly (i.e. 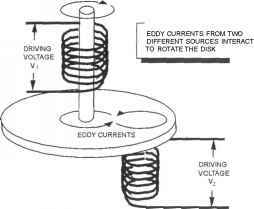 by means of controlling the power electronics and or the field excitation), making variable rotational speed possible. When Brint's RV is not on the road, it sits in his driveway with a power cord stretching into Brint's grid connected home. Brint has taken many of his downtown appliances off of the grid and powers them from solar electricity made by the resting motorhome. Some of the appliances powered at home by the RV are a 24 inch Color TV for 16 hours daily, a 900 Watt microwave oven for 45 minutes daily, three Osram compact fluorescents five hours each daily, three ceiling fans for ten hours daily, and occasional use of a clothes iron, a washing machine, a sewing machine, and a vacuum cleaner. Most wind turbine capacity is associated with commercial wind farms for grid connected power, and therefore large machines 3 MW) are the most common now. However small machines of capacity between about 50 W and1 kW are common for boats, holiday caravans and houses, small power public service (e.g. rural bus shelters) and small meteorological and other measurement sites. Slightly larger, but still 'small' are 5-100 kW wind turbines installed for household, farm and institutional use. Cost-effective operation is most likely in locations where other energy supplies are expensive (e.g. oil) and grid electricity not available. However, where there is a grid and if excess electricity can be sold to a utility grid at a price of at least half the buying price, grid connection is no discouragement for wind power projects. The most productive hours of sunlight for PV systems are from 9 AM to 3 PM. Before and after these times, electricity is generated, but at much lower levels 8 . In addition, an afternoon thunderstorm will severely reduce local PV output before it will indirectly reduce the load by cooling ambient temperatures and suppressing solar heat gains. This ha s profound technical impacts that can negate some of the benefits associated with distributed, grid-connected PV. A n hour of energy storage can alleviate this problem 9 . The fact that grid connected converters might give rise to high common mode currents is well known. This causes problems like bearing currents and insulation problems in electrical machines 48 . The common mode current results from the variations in voltage potential of the DC side supply rails, depending on the actual switch state. Consequently, the fundamental of the common mode current appears at switching frequency. The capacitive coupling between the supply rails and ground provides a path for the common mode current. Due to the capacitive nature of the current path, the common mode current magnitude increases with increasing switching frequency. International markets also provide opportunity for solar thermal technology. Small systems, like the Stirling, have potential to be competitive in either grid-connected or stand-alone applications in many third-world countries. However, other developed countries are threatening to challenge the United States in tapping these markets. European countries are significantly increasing their investments in solar thermal research. At the same time, the U.S. budget has steadily declined over the past decade. This situation may make it difficult for U.S. industry to exploit its current leadership in marketing solar thermal technology in foreign markets. CSP systems have been used since the early 1980s to generate electricity and to provide heat. The investment of US 1.2 billion between 1984 and 1991 in nine commercial parabolic trough solar power plants in the California Mojave desert, totalling 354 MWe, (known as the SEGS plants) and their successful continued operation and performance, demonstrate the readiness of CSP. Today, these California plants are still operating reliably and have produced more than 50 of all solar electricity in the world. The CSP industry anticipates that solar electricity generation costs will be fully competitive with fossil-based, grid-connected power generation costs once an initial 5,000 MWe of new CSP solar capacity is installed globally. Real Goods Renewables is the largest supplier of Renewable Energy Systems in the world. We can take you off-the-grid little by little with our 100 watt Sun Plug solar system for less than 1,000- or all at once, enabling you to create all of your own power. Starting with conservation and energy efficient appliances we can shave up to 75 off your utility bill. 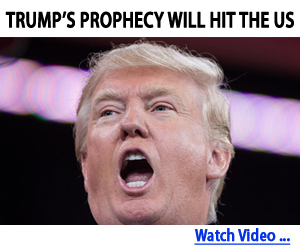 And with solar power, you'll be completely exempt from worries about the Year 2000 (Y2K) computer problem. Call one of our 8 full time technicians at Real Goods Renewables or request our free 100 page catalog. Energy conservation received greater attention in India since the mid 1970s. Structural changes in the economy during the last few years have led to the expansion of the industrial base and infrastructure in the country, and subsequently to increase in demand for energy. Any effort to enhance energy generation brings issues of available energy sources and systems. India recognizes, as anywhere else, a need to reduce the dependence on fossil fuels and transition to an era where many cost-effective and efficient energy choices are available. There has been a vigorous search during the last three decades for alternatives to fossil fuels that would ensure energy security and eco-friendly sustainable development. DC Power Systems, Inc. is proud to be the exclusive distributor for Kestrel and Iskra wind turbines in the Western Hemisphere, as well as a distributor for Energie, PGE. We also offer guyed and free-standing towers, controllers, off-grid and grid-tied inverters for most models. When people think of grid-connected hydro electricity, images of something really big like Hoover Dam come to mind. But on a residential scale, high-power AC-direct hydro turbines in the 10 to 25 KW range have been feeding electricity to the grid for decades. What is new in the hydro world is coupling batteryless inverters to low-power microhydro turbines generating anywhere from 500 to 4,000 W for grid-tied applications. I live in a canyon near Santa Barbara that suffers from power failures from winter winds. Since California deregulated their utilities, the time it takes for downed power lines to be repaired has increased. I recently installed a pair of Trace DR1524 inverter chargers as an emergency backup system in my grid-connected home. 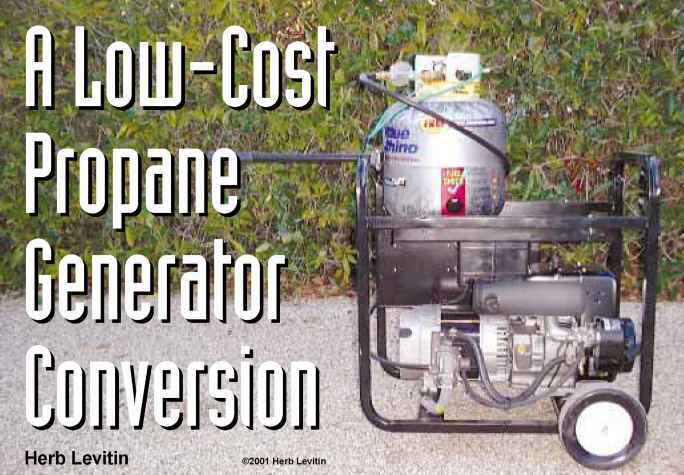 The next logical step was to set up a low-cost propane generator. During the last nine months we've been experimenting with over 100 wet, pocket plate, nickel-cadmium cells. These cells are made by a variety of manufacturers. None of them are new and all were supplied by Pacific West Supply in Oregon. Some were reconditioned, others were not. Some cells are high rate cells and others are medium rate cells. These experiments have been carried out in four different test systems. Two of the systems are PV generator sourced, one is stand-alone PV with no generator at all, and one is grid connected. 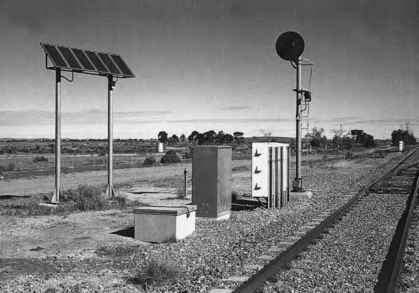 PV modules were connected to, or mounted on, buildings that were usually in remote areas without access to an electric power grid. In the 1980s, PV module add-ons to roofs began being demonstrated. These PV systems were usually installed on utility-grid-connected buildings in areas with centralized power stations. In the 1990s, BIPV construction products specially designed to be integrated into a building envelope became commercially available. Since a real energy revolution is still waiting to happen, a decade after the First ISONCET, the Integrity Research Institute was formed to scientifically research and develop viable NCET inventions with private support for public benefit. Disasters such as the Challenger Space Shuttle, compared to an overgrown roman candle, and the Mideast war, reclaiming oil reserves, have driven home the primitive state of energy and propulsion in which we find ourselves as every major city chokes in its self- created smog. NCET research is no longer a speculative curiosity. It is a necessity required to provide clean transportation and avert the next energy crisis when conventional energy becomes scarce and unaffordable. We also wish the reader good results and success in his or her research and experimenting. The energy crisis is not going to go away, and the demand for oil will double in the lifetime of many of our middle-aged or younger readers. The cheap oil peaks shortly and declines in availability forever thereafter 342 this alone will drive up the price of oil and seriously impact the economies of the nations of the world. To keep from destroying the world economy and the biosphere, it is absolutely essential that C0P> 1.0 electrical power systems including self-powering systems taking their input energy from the seething local vacuum be developed to produce the necessary electrical energy needs of the world, cheaply, cleanly, and easily. Figure 4.38 Basic grid-connected PV inverter Figure 4.38 Basic grid-connected PV inverter Basic Grid-connected PV Inverter The grid-connected PV inverter shown in Figure 4.38 is based on the transistor bridge circuit of Figure 4.29. 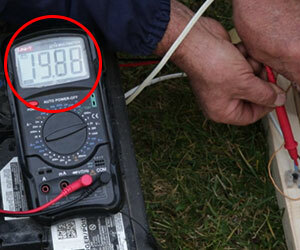 It is required that the DC voltage of a PV array is inverted and connected to a grid of, say, 230V. For such a simple, e.g. domestic application, the array voltage would have to be well over 350 V DC at the maximum power point, which would be impractical in many cases. The transformer is therefore required in order to raise the output inverter voltage. The control could be implemented as described earlier under the heading 'Output control in a grid-connected inverter' in Section 4.5.6. Control of the AC output current would provide control of the DC current drawn from the array and hence allow maximum power point tracking. The main drawback of the circuit is the size, weight and cost of the output 50 or 60 Hz transformer. 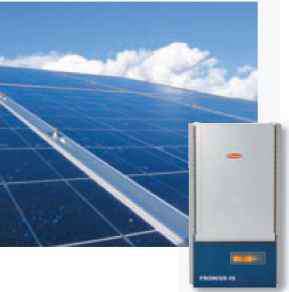 Photovoltaic inverters differ from inverters for other applications. This is because they must operate the photovoltaic generator at the optimal operating point to generate the maximum power. Grid-connected inverters are therefore often combined with MPP trackers, i.e. DC-DC converters, to set a voltage at the generator that differs from the grid voltage. A battery charge controller is integrated into most stand-alone inverters. There is interest in exploring the mechanism by which power is injected into the grid by a synchronous generator. 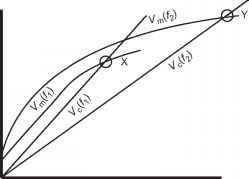 This can be done by means of the concept of complex power developed in Appendix A. The grid connected synchronous generator of Figure 4.7 will be considered. The complex power at end B of the line is given by Equation (4.9a) confirms the trivial fact that as the system is lossless, power PB coming out of terminals B is equal to power PA fed into terminals A. The scalar equations (4.8) and (4.9) are important in power systems technology as they describe the flow of active and reactive power of grid-connected synchronous generators. In 2001, the Bush-mandated National Transmission Grid Study (NTGS 2001) was designed to identify the major transmission bottlenecks across the United States and identify technical and economic issues resulting from these transmission constraints. With deregulation of US utilities and the lack of jurisdiction for the Federal Energy Regulatory Commission (FERC), the US is fighting an electrical energy crisis which, right now, costs consumers hundreds of millions of dollars annually due to interregional transmission congestion. There is no longer any economic incentive nor any FERC eminent domain for states to provide rights-of-way, besides the lack of Federal compensation to utilities to build new transmission lines. The first article is by Bernard Bulkin, Chief Scientist at BP plc. 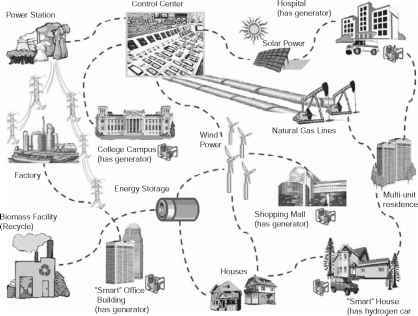 Taking as its starting point an analysis of the changes resulting from the last 'energy crisis' of 1973, this reviews 'The Future of Today's Energy Sources' and so provides a basis for evaluation of the emerging alternatives, including renewables. The future supply and demand for coal, oil and gas in the various sectors in which they are used, viz. transport, power generation and industrial domestic agricultural applications, are examined. This review concludes that shortage of supply will not be a driver for change in the near future and that increases in the efficiency of use and the development of effective methods for carbon sequestration will prolong the role of fossil fuels. The majority of the wind turbines now in operation are three-bladed, stall regulated constant speed turbines 1 172 . It must be stressed that in this case the blade pitch angle is fixed and, as a consequence, no control possibilities exist at all. Recall that stall utilizes the inherent aerodynamic properties of a rotor blade to limit the aerodynamic power. In the sequel, however, we will focus our attention on the closed-loop control of grid-connected, variable speed pitch-regulated turbines since this configuration has the highest potential to reach cost-effectiveness in the (near) future. 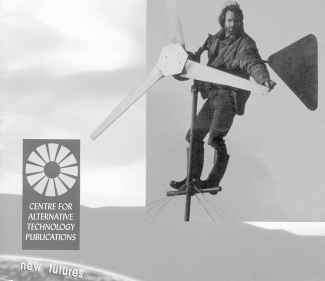 Hugh's book is a distillation of more than two decades of mostly off-grid wind power experience on a remote windswept peninsula in far northwestern Scotland. Many of the homes, schools, and workshops in the vicinity use wind power and Hugh has either built the turbines himself or services them. Hugh packs his TirFor with him to service wind turbines at remote Youth Hostels and railway stations in Scotland. Anything that Hugh can't carry gets left behind. If you have to buy any tool for your off-the-grid wind system, Hugh recommends buying the grip-hoist winch.